For the past 20 years, Turner Drake has affirmed the importance of certified space measurement by providing Lasercad® services throughout the Atlantic Provinces and onwards to Ontario. Lasercad® is an essential tool in creating a more intimate understanding between building owners and managers and their buildings’ space inventory. Lasercad® is a property measurement service which provides precise measurement and calculation of all building areas in accordance with the various industry Standard Methods of Measurement, including the Building Owners and Managers Association (BOMA). Whether you own or manage a small retail strip plaza, an industrial warehouse and fabrication facility or a large multi-level office building, BOMA has a standard for you. We comply with the rules and regulations set by these standards together with our own standard operating procedures to produce measurements with an accuracy of 1 cm, and a closing error of no more than 2%. Furthermore, Turner Drake is the only space measurement company in Atlantic Canada governed by a system certified to the international ISO 9001:2008 quality standard. When it comes to space measurement, we provide precise results in a timely manner: exercising regular calibration of laser equipment and ensuring on-site measurement within 1-2 days of your request. Measuring an excess of 1.7 million square feet of space in the past year, we have been able to collaborate with a wide variety of clients; from small independent building owners to large commercial REIT’s, working in unison to help our clients properly allocate their space inventory and improve the efficiency of their buildings. With staggering vacancy rates it has become paramount for building owners and managers to not only allocate their space inventory properly, but to optimize the use of this space. Tenants have also become increasingly familiar with the BOMA Standard, requesting certified space measurements prior to accepting lease agreements. Our space certificates therefore provide accurate representation of each tenant space, creating piece of mind to prospective tenants while also creating value as key marketing material for building owners and managers. In a recent audit of office buildings in Atlantic Canada, we discovered the average area represented in a lease was misstated by 10.1%. Such large discrepancies are typically a result of inaccurate measurements, space modifications on lease renewal that are not corrected in the new lease and the use of a non-standard or inappropriate method of measurement. Let me tell you about a key aspect of the BOMA 2010 Office Standard Method of Measurement: using this standard requires careful consideration of the “dominant portion” when certifying the subject space. The dominant portion refers to the inside finished surface of a vertical exterior enclosure i.e. window glazing, painted gyproc, etc. To classify as a dominant portion, the finished surface must constitute 50% or more of the vertical dimension between the finished surface of the floor and the finished surface of the ceiling. 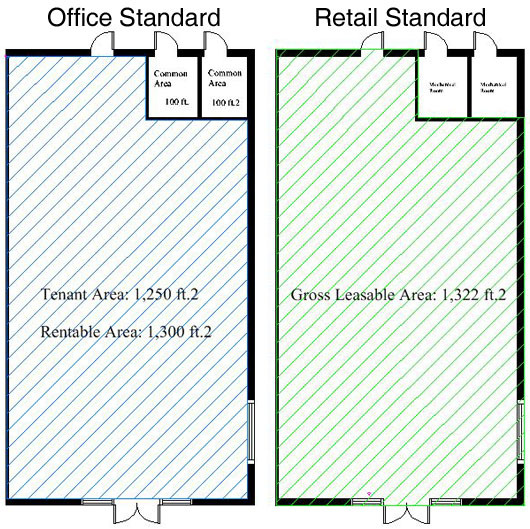 Here, you can see an area boundary using the BOMA 2010 Office Standard Method of Measurement. The blue area highlights the use of the dominant portion, a key aspect of this standard. And here is an area boundary using a non-standard or inappropriate method of measurement. Now, consider an older office building with 300 deep inset windows comprising roughly two ft2 of space along each windowsill. If these windows were indeed classified as the dominant portion, this would warrant an additional 600 ft2 of rentable space in which the building owner benefits! Your space inventory just increased by 600 ft2 without lifting a hammer! Educating oneself with the appropriate Standard Methods of Measurement is vital to ensuring proper allocation of space inventory. Knowing your inventory and allocating it appropriately has proven to increase building efficiency and more importantly, increase earnings potential amongst building owners and managers alike. Although certified space measurement is our specialty, our highly skilled and creative Lasercad® team also provide advice for space planning. We have worked with local developers, measuring portions of and/or entire buildings to provide As-built Plans for proposed renovations, including the virtual placement of demising walls to optimize tenant areas as required by the client. 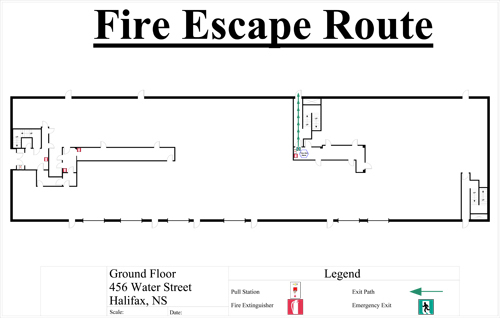 We also provide fire evacuation plans, site parking and layout plans and building mechanical and HVAC systems plans. Your space is our primary concern, let our Lasercad® team quickly and accurately allocate your space inventory so you can get back to leasing that additional 600 ft2 you just gained. For additional information about these services please visit our website. 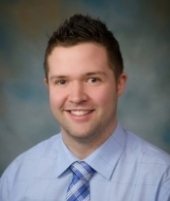 Written by Patrick Mitchell, Consultant in our Lasercad® Division. 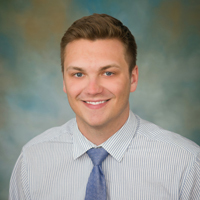 To learn more about Patrick, visit our Facebook page to see his Featured Consultant article. 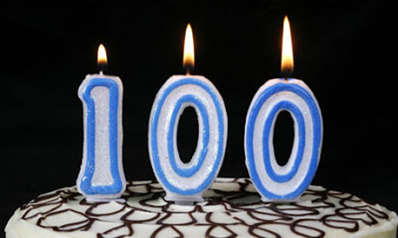 Happy 100th Birthday BOMA Office Standard! The Building Owners and Managers Association (BOMA) released its first Standard Method of Floor Measurement for Office Buildings in 1915. A lot has changed in the past 100 years: there were two world wars, man landed on the moon, and an underground unicorn lair was discovered in North Korea (yes, the Korean Central News Agency actually reported this in 2012…). BOMA has evolved with the times and now offers measurement standards for a multitude of property types including office, industrial, retail, multi-unit residential and mixed use. The BOMA Office Standard is by far the most recognised and implemented standard in the market. It provides a logical and uniform method for measuring office space, including the proportionate allocation of all floor and building common areas in a building. The existence and general idea of the standard is fairly well known in the industry but what is far less understood is the huge financial impact that a BOMA space certification can have on your asset. For years I have been telling clients that you are not buy a building – you are buying an income stream … and your income stream is rooted in your rent roll. Therefore if your building has not been certified in accordance with the appropriate BOMA Standard, chances are that the area on your rent roll is wrong. How wrong you ask? Well we undertook an audit of office buildings in Atlantic Canada and found the average area shown in the lease was off by 10.1% (!!!). The financial implications are enormous. An 80,000 ft.2 office building sitting in a market where net rents are running at $12.00/ft.2 could be undervalued by as much as $1,100,000; simply because it had not been certified. If a full scale building certification is more than you need, you should at the very least consider getting individual units certified during lease renewals/roll overs. For “one off” units of 5,000 ft.2 or less, a space certification costs only a few hundred dollars and is often turned around in less than 24 hours: a small price to pay for the peace of mind which comes with a properly certified unit will last you a lifetime (or at least the term of the lease). 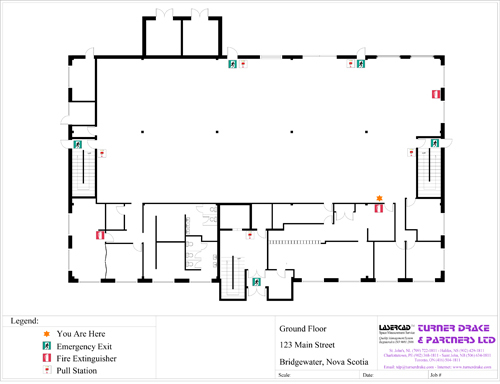 Space measurement provides you with tremendous bang-for-buck as the floor plans generated during the space certification can also be used for marketing the unit, as a fire exit plan, or for space planning purposes. Most importantly, an accurately measured building will ensure better performance of your building. At the end of the day, the rent roll for a building that hasn’t been certified is about as reliable as a news report about North Korean unicorns. Questions regarding space measurement? Feel free to contact Mark Turner, Vice President of our Lasercad Division at (902) 429-1811 or MarkTurner@TurnerDrake.com. 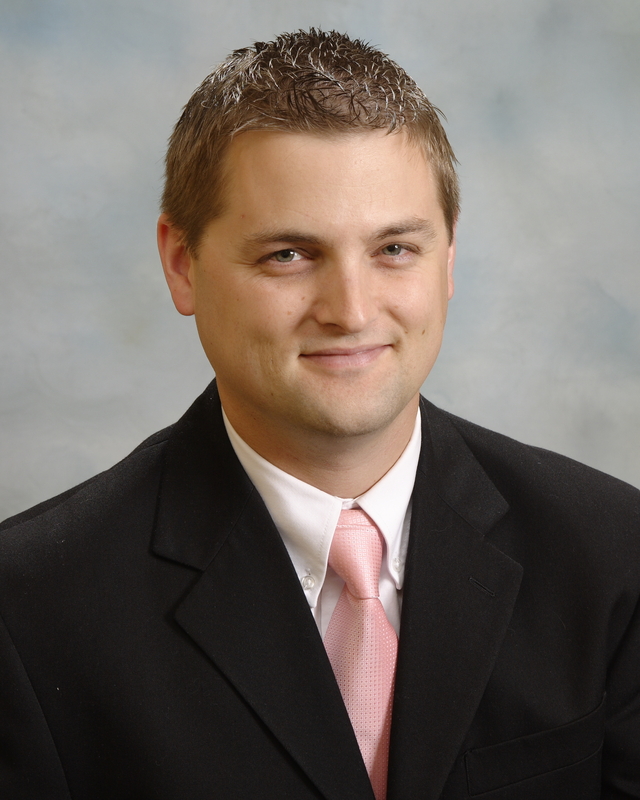 Don't forget to check out Mark's Featured Consultant piece on our Facebook page!